i create a package to install some glyph files my team uses. when i install it, it adds this additional (system) package that i didn't create. what is going on here? should i be concerned? As per i know system packages are sub packages. If you go to help of VIPM >>"important terminologies" it will give the description of the Sub-packages. "Sub-package: Sometimes, when building a package, it’s necessary to have some files install outside of the LabVIEW target folder. 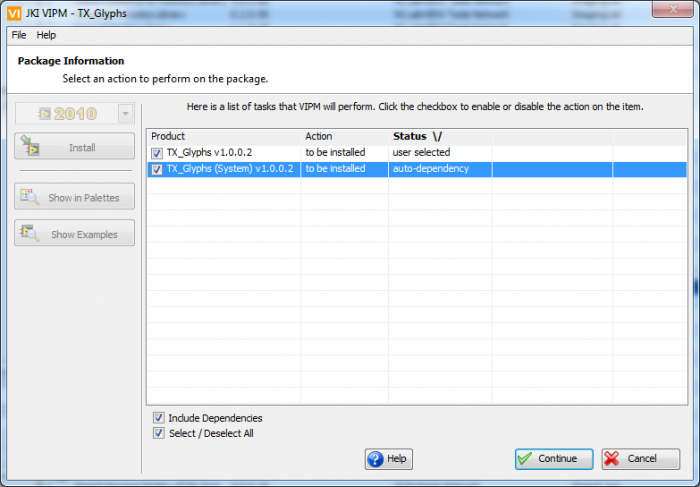 When this happens, VIPM creates a parent package that contains another sub-package inside of it that targets the system environment (these sub-packages are sometimes called System Packages). When you install this parent package, VIPM extracts the sub-package and places it beside the parent package and installs it together.